Magnificent magnolia trees and a beautiful boxwood garden surround the Greek Revival structure. 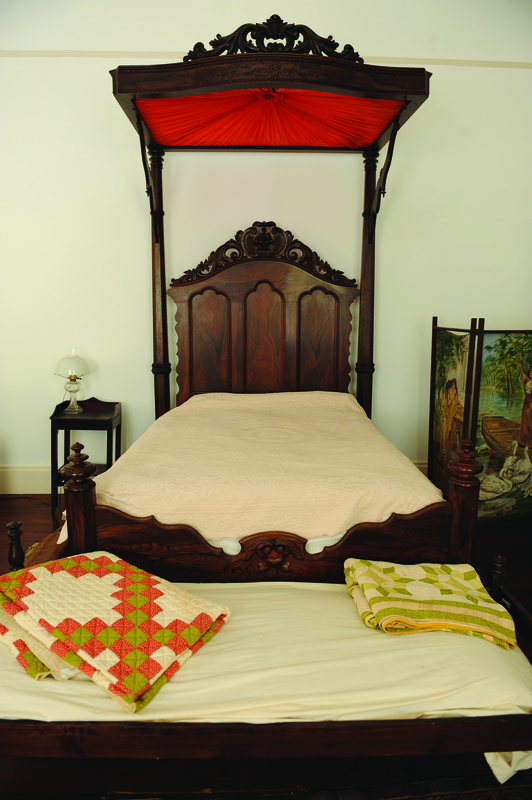 The interior houses original family furniture and portraits of the Croom and Hobson families. The 12-acre site includes a kitchen with cook's quarters and a slave house, and museum exhibits. With regular admission enjoy a guided tour of the house, learn about Richmond Pearson Hobson and Magnolia Grove's other inhabitants, and let your cell phone guide you around the grounds and gardens. The first floor of the house and the grounds are accessible to individuals with physical disabilities. If you have questions or if you anticipate special assistance, please contact us at 334-624-8618 or magnoliagrove21@yahoo.com. Open Thursday – Saturday, 10:00 am – 4:00 pm. Closed state holidays and during private events. Other times by appointment only. Please contact us at 334-624-8618 or magnoliagrove21@yahoo.com.